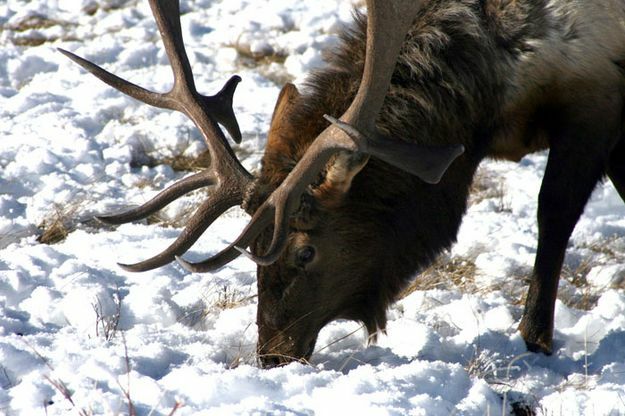 Bulls will start to lose their antlers between now and spring, leaving them to lay in the snow on the refuge. After the elk leave the feedgrounds, the antlers are then collected by Boy Scouts and sold at an annual antler auction. Elk regrow their antler racks every year. The general public cannot go into the refuge and pick up antlers, but they can bid on them at the auction.